Edmonds, WA, November 15, 2017 --(PR.com)-- ColoMiner Founder Patrick Thach announces ColoMiner’s new Sparrow Mining Rig will be offered at wholesale pricing for the holidays. The Sparrow was released earlier this fall and features 9 Graphic Processing Units (GPUs) used for mining crypto currencies. 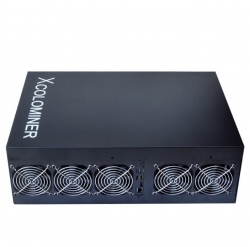 By offering the Sparrow at wholesale price, ColoMiner’s Strategy is to get their professional-grade Mining Rigs to as many miners as possible and to get more people mining.